Maratonistas de Coamo (BSN) agreed terms with 31-year old American forward Reyshawn Terry (203-109kg-84, college: N.Carolina). He just played at Tadamon in Lebanese Division A. In 13 games he had very impressive stats: 19.8ppg, 9.7rpg, 4.2apg, 1.3spg and 1.1bpg this season. The last season Terry played at Le Mans (ProA) in French league. In 32 games he recorded 9.5ppg, 3.6rpg and 1.1apg. He helped them to win the cup. 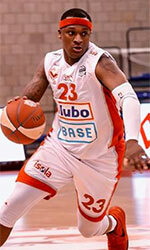 Terry also played 10 games in Eurocup where he recorded 10.4ppg, 3.7rpg and 1.0spg. The previous (12-13) season he played at Champville (Division A) in Lebanon. In 17 games he recorded also remarkable stats: 19.9ppg, 8.2rpg, 2.9apg and 1.3spg in 2012-13 season. He contributed to his team winning the supercup. In 11-12 season Terry played at Khimik (Superleague) in Ukraine. In 40 games he recorded high stats: 15.1ppg, 6.4rpg, 1.5apg and 1.3spg in 2011-12 season. He contributed to his team making it to the Ukrainian Cup Semifinals. Quite impressive season as he was named to Eurobasket.com All-Ukrainian Superleague 2nd Team and to the All-Star Game. Terry also played 6 games in EuroChallenge where he recorded 12.7ppg, 8.2rpg and 1.0apg in 2011-12 season. In 10-11 season he played at Brose Baskets (BBL) in German league. In 47 games he recorded 9.6ppg and 5.0rpg in 2010-11 season. He contributed to his team winning the league title and the cup. Terry also played 10 games in Euroleague where he recorded 7.1ppg and 4.3rpg in 2010-11 season. In 2007 he was drafted by Orlando Magic (NBA) in second round (44th overall). Terry attended University of North Carolina and it will be his eighth season in pro basketball. He represented USA at the West Asia Basketball Championships in Tehran (Iran) two years ago. Terry is quite experienced player. 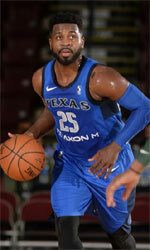 He has played also professionally in Greece (Aris), Italy (Vanoli Cremona and Granarolo Bologna), Spain (Blusens Monbus) and NBA (Dallas Mavericks). Terry has a good amount of quickness to create separation from his defender. Athletically he is among the elite level athletes at his position in the college game. Physically he has all the tools one looks for in a defender. Long arms, quickness, and size Underrated ball handler who can take opposing players off the dribble. Great help defender who gets a number of shot blocks by rotating over. Has always been a bit of an inconsistent player who goes through periods of streaky play. Has a tendency to gamble too much on steals which can leave him out of position giving his man the open look.